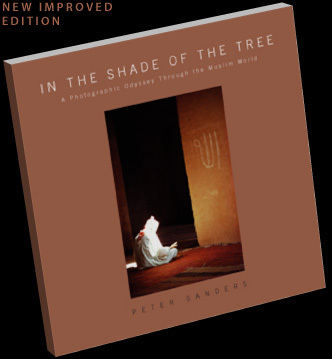 In the Shade of the Tree is a unique photographic record of a world few outsiders gain access to and fewer still understand in any depth. Peter Sanders has devoted 35 years to capturing aspects of Islamic civilization all too often ignored in an age of constant change and upheaval. His ravishing portfolio of a vibrant but seemingly vanishing world of saints and mystics across the Muslim world, counterpointed by haunting landscapes and architectural wonders, is infused with a profound and reflective serenity that could only be achieved by a master of his craft who is also a spiritual adept. All the words accompanying these remarkable images come from the Qur’an, the Prophet Muhammad , spiritual masters, or the photographer himself.